The Escuadrón Aéreo no. 5 (Helicópteros) (Air Squadron no. 5) of the Fuerza Aérea Uruguaya (Uruguayan Air Force – FAU), is based in the Brigada Aérea No. 1 (Air Brigade 1), located in the General Cesáreo Berisso International Airport, Carrasco, on the outskirts of the capital Montevideo. 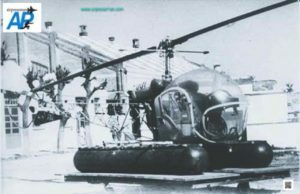 Being the only unit that operates rotary wing aircraft, it was founded on July 25, 1955, with two Bell H-13G helicopters (registered as FAU 001 & 002). At that time the then called Agrupamiento Provisiorio de Busqueda y Rescate (Provisional Search and Rescue Group, was stationed at the military aerodrome Cap. Juan Manuel Boiso Lanza, north of Montevideo and presently the FAU Headquarters and home of the Brigada Aérea No. 3 (Air Brigade 3). The squadron performs a wide range of missions and it is the most decorated squadron of the force – having won prizes for national flight safety and foreign distinctions – as their aircraft regularly operate overseas. 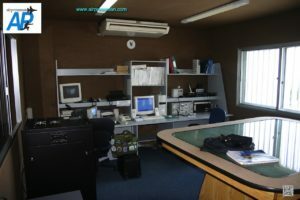 The unit also incorporates the Escuela de Vuelo de Pilotos de Helicópteros (Helicopter Pilot Flight School). In the past, the unit has also had some fixed wing aircraft too, starting with two Piper PA-18-150 and a single Ryan Navion L-17B, for search duties. On Christmas Eve 1963, the agrupamiento moved to its present location in Carrasco. 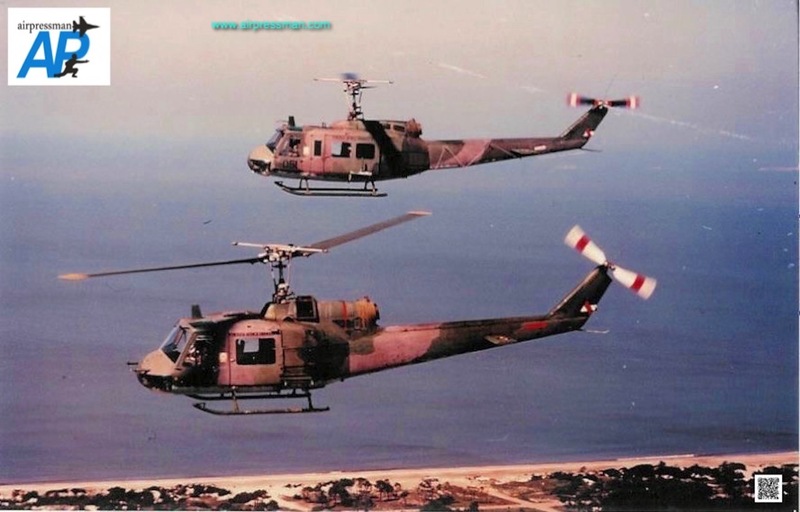 The jet age arrived in 1970, with the arrival of three Bell UH-1H “Iroquois” (FAU 050 to 052) – commonly known as “Huey” – with a further three obtained in 1998, becoming FAU 053 to 055. 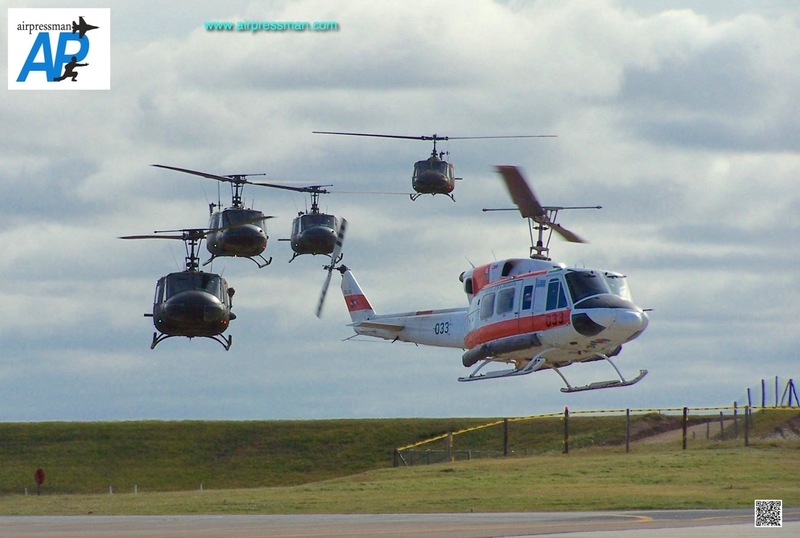 Six smaller UH-1B were received in 1975, all of them ex-US Army and brought to the country in USAF C-130 Hercules based in the Panama Canal Zone. To differentiate this model from the larger H version, they were registered as FAU 060 to 065. This significant increase in size and fleet provided the FAU with the ability to initiate combat operations, troop transfers and fire support, via the installation of .50 caliber machine gun supports on both sides of the aircraft. 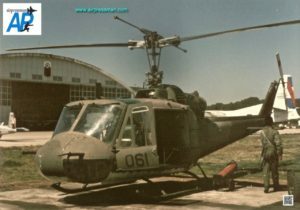 In January 1981, operations of twin-turbine helicopters began with the arrival of two Bell 212 “Twin-Huey” (FAU 030/031) flown from the US by Uruguayan crews. 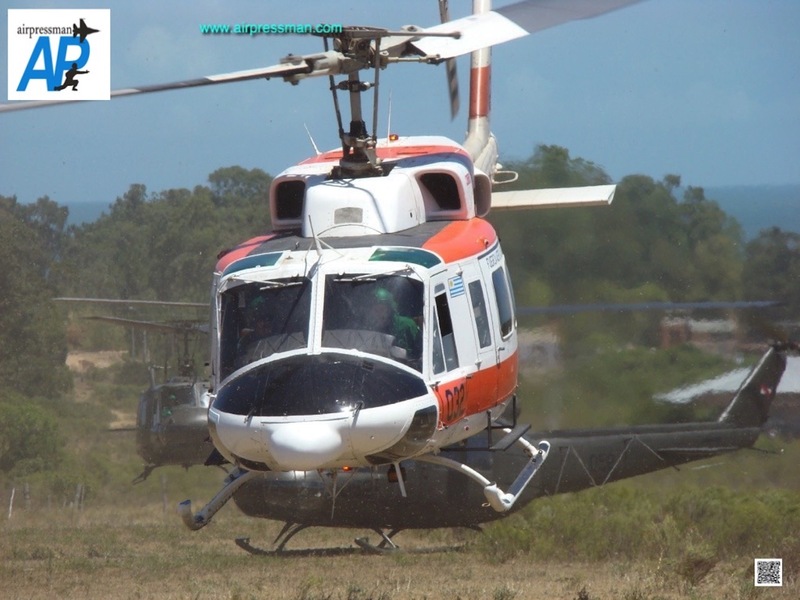 With the new better equipped type, the squadron obtained full day and night SAR operational clearance as the aircraft had full IFR capabilities, auxiliary fuel tanks, flotation equipment and rescue hoist. Due to its greater flight endurance and speed with respect to its predecessors it was the model used then for presidential transport. The Bell 212 met a new challenge during the 1992/93 Uruguayan Antarctic campaign by initiating operations in the South Shetland Islands. A Bell 212 (FAU 031) was transported on board of a FAU Lockheed C-130B Hercules of the Escuadrón Aéreo No. 3 ( Air Squadron No.3) to King George Island were Uruguay has the Base Científica Antártica Artigas (BCAA – Artigas Antarctic Scientific Base). After the arrival, the aircraft was ready to fly in 73 hours, providing support to the BCAA and surrounding bases from other nations. From the BCAA – which is manned all year round – at times, risky oceanic crossings were achieved – with winds of up to 54 kt (100 km) – to the Antarctic Scientific Station T / N Ruperto Elichiribehety (ECARE) that Uruguay has in the Antarctic Peninsula. Furthermore, an unprecedented rescue in South America, was carried out during the early hours of August 13, 1993. A raging fire engulfed the main building of the Uruguayan State electrical company (UTE – Usinas y Transmisiones Electricas [Power Plants and Electrical Transmissions]) in the Aguada neighbourhood of Montevideo. A Bell 212 (FAU 030) was dispatched from Carrasco, with the crew and two firemen, managing to save five people from smoke and flame filled building’s rooftop. 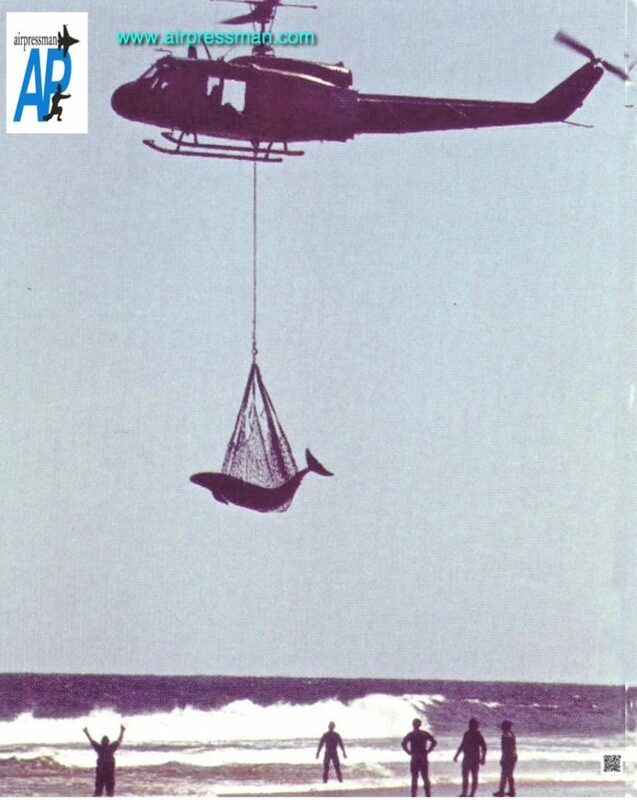 Three such rescues had been attempted in the world, this being the first successful one. The Squadron obtained thus the Aeronautical Merit Medal for valour whilst on duty. The unit changed its name to Escuadrón Aéreo No. 5 (Helicópteros) during 1994, whilst at the same time no longer operating fixed wing aircraft. Likewise, the Sistema de Cooperación de las Fuerza Aéreas Americanas (American Air Forces Cooperation System) granted the squadron international recognition for excellence on its Programa de Prevención e Investigación de Accidentes (Investigation and Prevention of Accidents Program). 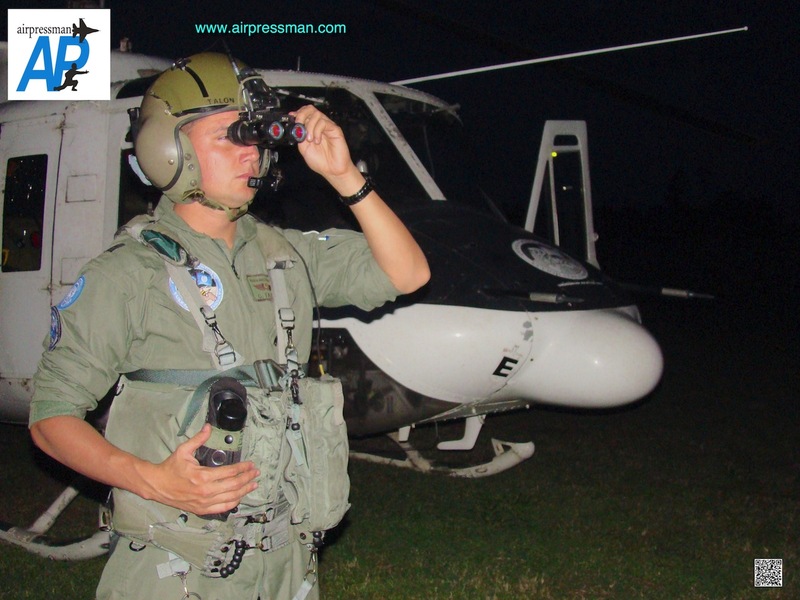 In December 2005, another two Bell 212s were obtained (FAU 032/033), equipped with weather radar, radio altimeter, Garmin 400 GPS, autopilot coupled to a Flight Director, FLIR (Forward Looking Infrared) thermal cameras and Night Sun (Search Light of 30 million candela). REINFORCEMENTS – DAUPHIN, WESSEX and more HUEYs! The Squadron had a plentiful year in 1997 with the advent of two twin-turbine models: two brand new french built Eurocopter (now Airbus Helicopters) AS365 N2 Dauphin (FAU 090/091) and a batch of six secondhand, British Westland Wessex HC MkII. The latter were obtained from the RAF Kai Tac Base (Hong Kong) as the UK Government was returning the island to China. Another five Wessex were received in 2002/2003 from stocks preserved at RAF Shawbury, air base located in northern England. They received numerals as FAU 070 to 080. The British machines offered excellent results, in maritime SAR missions, providing additional safety to the twin-engine squadron, and unparalleled in the country due to its high load bearing capacity. Due to difficulties in obtaining spare parts at a good price in the international market – mainly after the aircraft was deregistered in the United Kingdom and the sale of spare parts passed on to civilian companies – they were withdrawn from service at the end of 2006; meanwhile the Wessex FAU 078, in excellent condition, remained in reserve for emergency situations for a further year. Uruguay has the distinction of being the last military operator in the world of this medium-sized British helicopter, as the Aviación Naval Uruguaya (Uruguayan Naval Aviation) having received five such aircraft in 1997, kept two of them airworthy from their C/C Capitán Curbelo Naval Air Station near Punta del Este, the last – Armada 081 (c/n WA130 ex RAF XR505) – withdrawn from service in August 2010. The Dauphin, appreciated for their high speed and modern equipment – ideal for aeromedical evacuations – became the presidential transport of choice, modified for such tasks with a VIP configuration (also available for the Bell 212 fleet) and fitted with a “Business Class” style seats. In 2001, FLIR thermal cameras were added, which, when capturing temperature differences, are invaluable for maritime search and rescue. 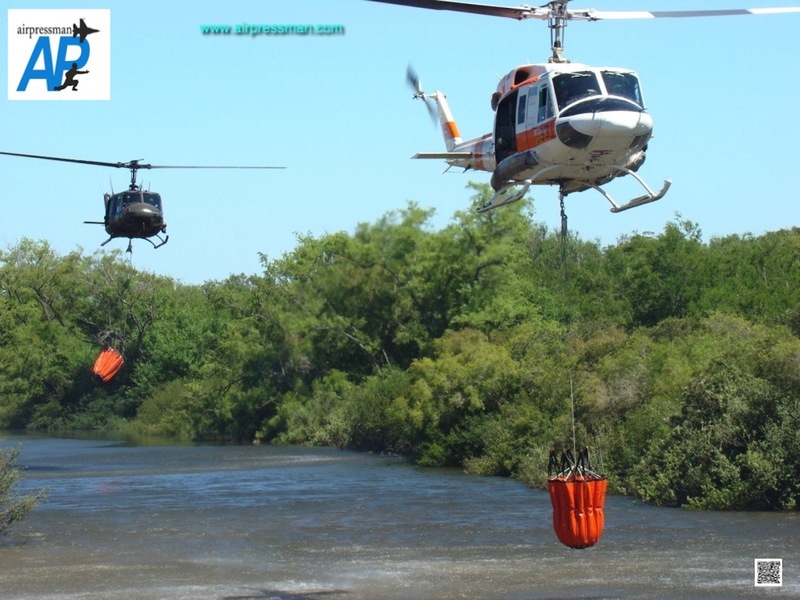 The Dauphin has also completed overseas missions; as one achieved in Paraguay during 1998, as the country suffered severe floods in one of its jungles. Challenging missions were completed in a distant and unusual geographical zone and adverse meteorological conditions. In one week 40 hours were flown, 20 evacuations were carried out, three medical transfers on flights from north to south of the country carrying 16 tons of cargo. As a curiosity, the aircraft had only 85 flying hours since its departure from Eurocopter (now Airbus Helicopters) in France. With the Huey fleet dwindling due to its age, and no funds available to replace the Wessex nor obtain a modern type, further second hand reinforcements were sought. Four Bell UH-1H helicopters belonging to the Fuerzas Aeromóviles del Ejército de Tierra – FAMET (Aeromobile Forces of the Spanish Army) were obtained during 2008. The type designated UH-10 in Spain, were sold in August 2008, for the symbolic price of 100 Euros per unit. 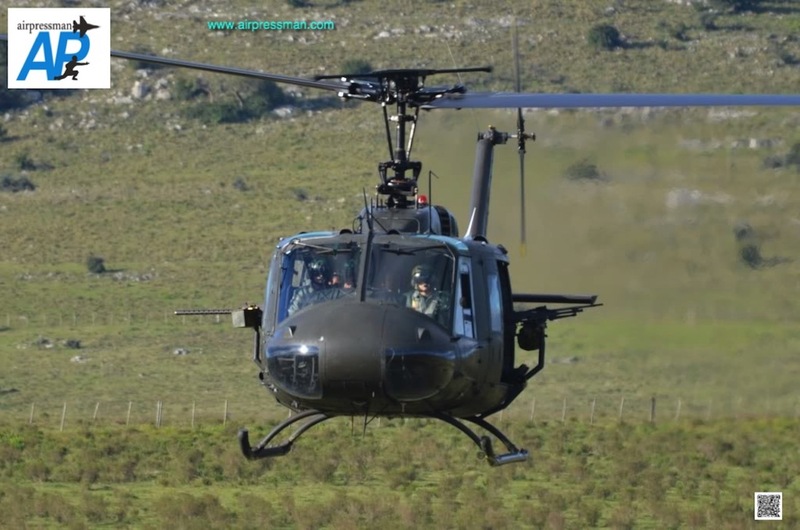 Presently, the squadron has a fleet of six Bell UH-1H “Iroquois” (commonly called Huey) – sadly FAU 055 (c/n 9494 ex US Army 67-17296) was lost on a fatal accident in August 2016 – four Bell 212 Twin Huey and two Eurocopter AS365 N2 Dauphin (FAU 091/092). One Dauphin (FAU 090) was sold during 2005 to proceed with the purchase of the two Bell 212 (FAU 032/033) received during the same year. A further Dauphine (FAU 092) was obtained, arriving in Montevideo during April 2014. 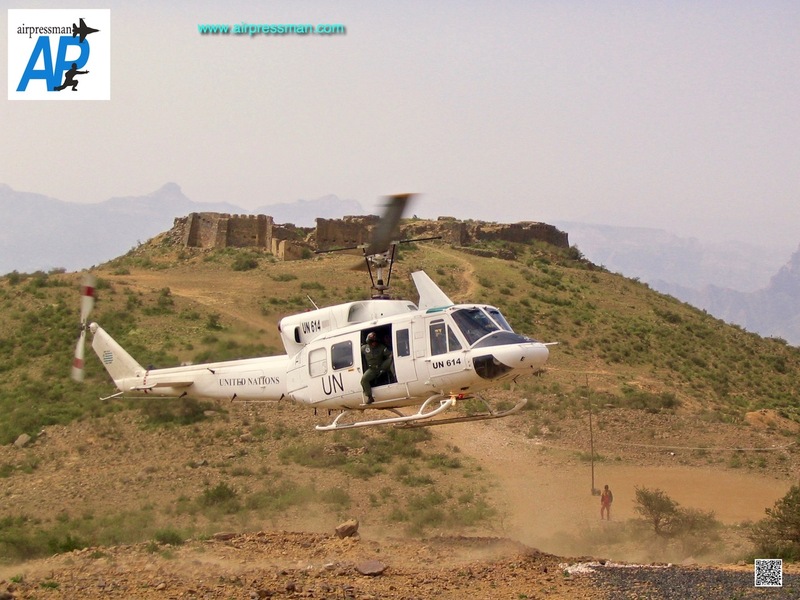 During 2003, two Bell 212 (FAU 030/031 – UN 614/615) were deployed to the so-called “Horn of Africa” ​to operate with the United Nations (UN) Mission for the maintenance of Peace in the state of Eritrea (UNMEE). The FAU replaced an Italian contingent in the city of Asmara (Eritrea) and from 2006, due to growing instability in the region, the deployment of aircraft was made from Axum, with the contingent residing in Adigrat, both cities in Ethiopia. 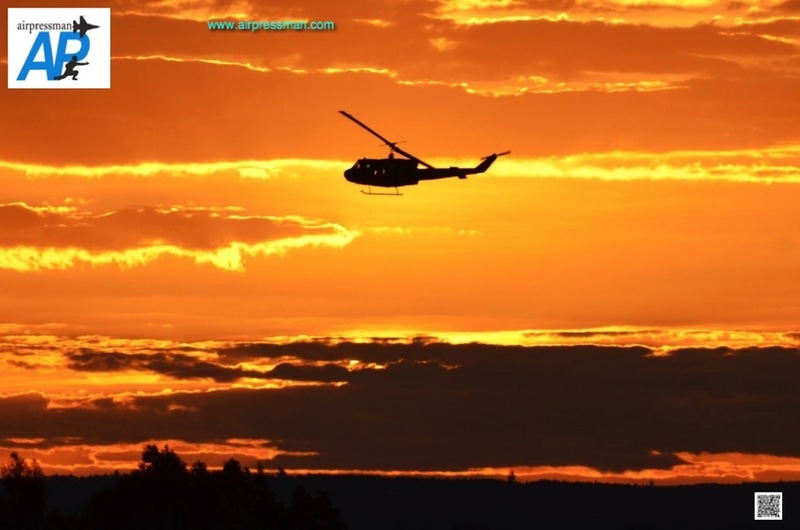 These aircraft totalled more than 3000 hours of flight time in Africa, mostly on reconnaissance missions, transport of authorities; however the speciality was day/night MEDEVAC. 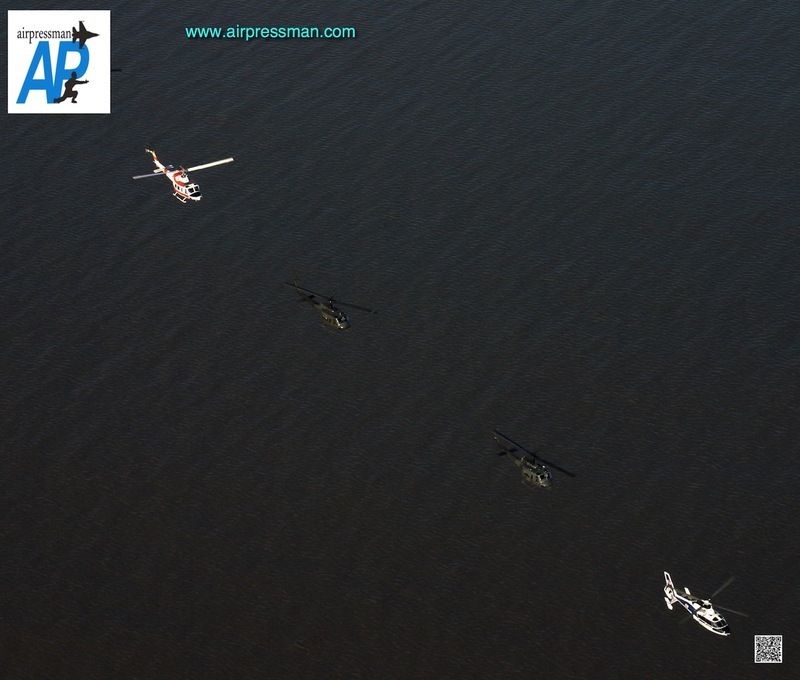 To achieve full operational capabilities, the crews trained by day, flying between UN posts fitted with helipads – called “Team Sites” – as to become familiarised with the local geography and prevailing weather patterns, in flying conditions extremely different to those present in Uruguay. 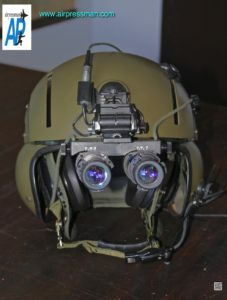 The use of Night Vision Goggles (NVG) model ANVIS-6 – it increases ambient light 3000 times – was necessary for night operations, being the first squadron in the FAU to do so since 1996. The latest generation NGV model AN / AVS 9 – six of them acquired in 2008 – are presently in use as all of the squadron’s helicopter models have cabins adapted for its use. 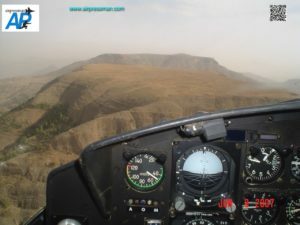 Other shortcomings in Ethiopia were the lack of Navaids (Axum’s NDB was out of service), navigation was carried out by VFR and GPS (each helicopter fitted with GPS receivers, Trimble 2000 or Garmin 196), the absence of a meteorological station in the region and RT communications completed via HF. 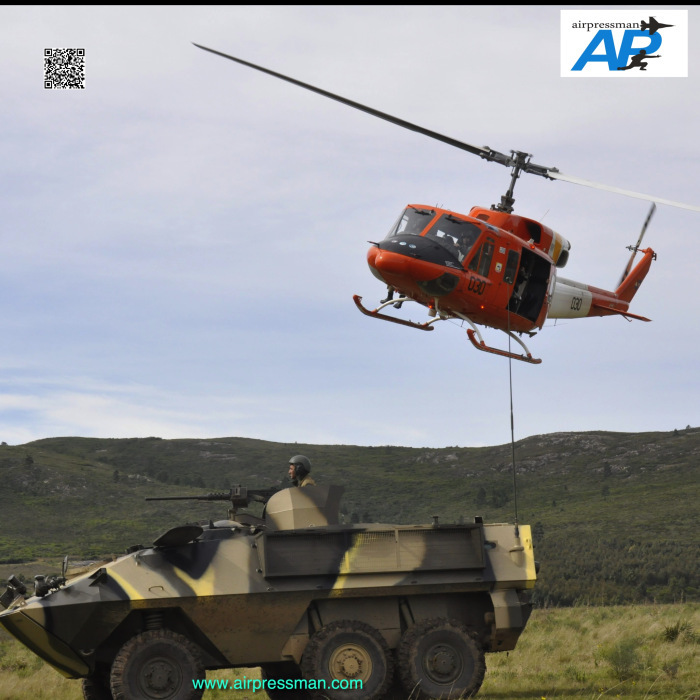 The mountainous zones of altitudes higher than 2,500 meters (8200 ft) and sandstorms were a constant challenge – the highest elevation in Uruguayan territory is 500 meters – demanding a great performance by crew and their machines the helicopters. 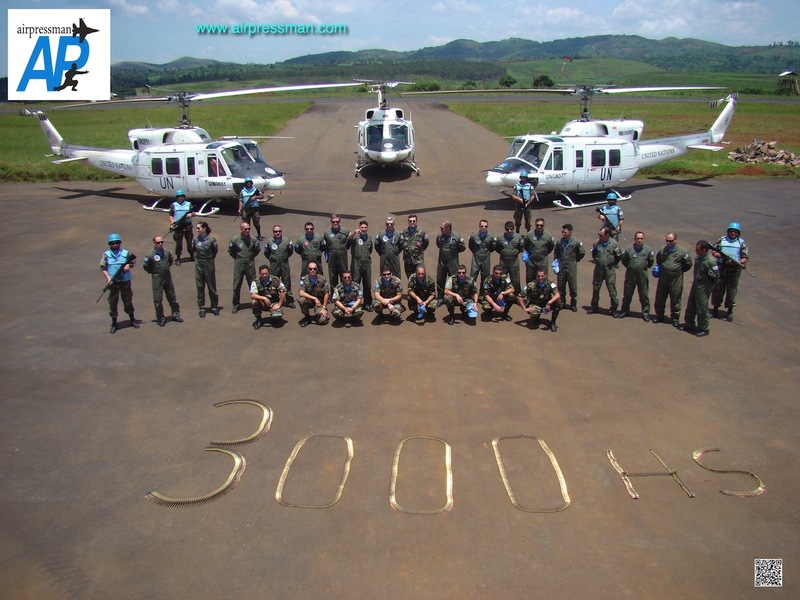 Interestingly, the highest landing made by an FAU helicopter was at Adigrat Hill at almost 3350 meters (11,000 ft). 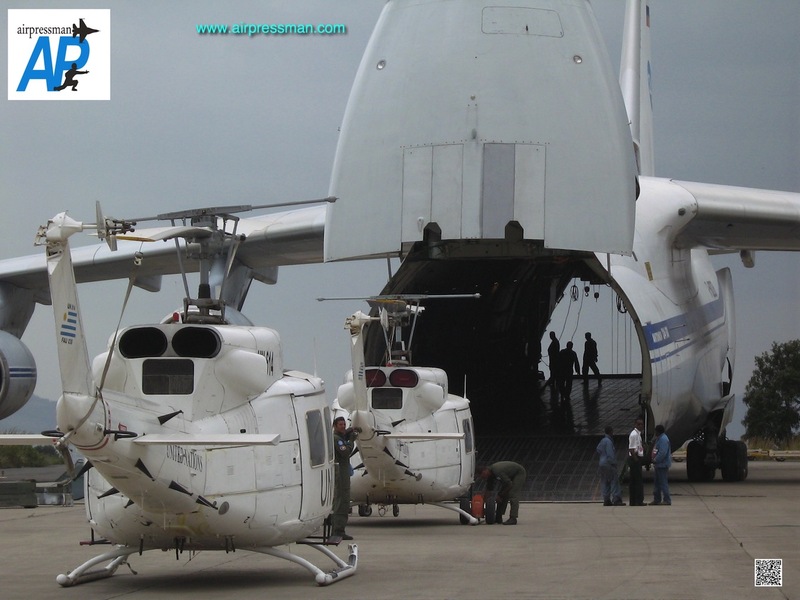 The UN authorities appointed Uruguay as the country in charge of carrying out all the UNMEE aeromedical evacuation missions. They were carried out with two pilots, a flight mechanic and rescuer officer in addition to Jordanian military medical personnel. Most casualties evacuated were bitten by vipers or injured in minefields, in the latter case the use of the rescue hoist is paramount, as to avoid landing in a potentially hazardous zone. The contingent of FAU personnel was fifty strong, including a support team as to run the then created “Uruguay Camp” of Adigrat. 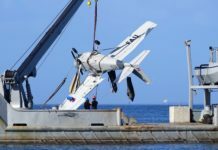 The pilots were relieved every six months (ground personnel every twelve) the change over flights carried out by one of the FAU’s Lockheed C-130B. The first crews dispatched to Africa, conducted mountainous regions flight simulator training on in the SAS Flight Academy at the Arlanda airport in Stockholm, Sweden. 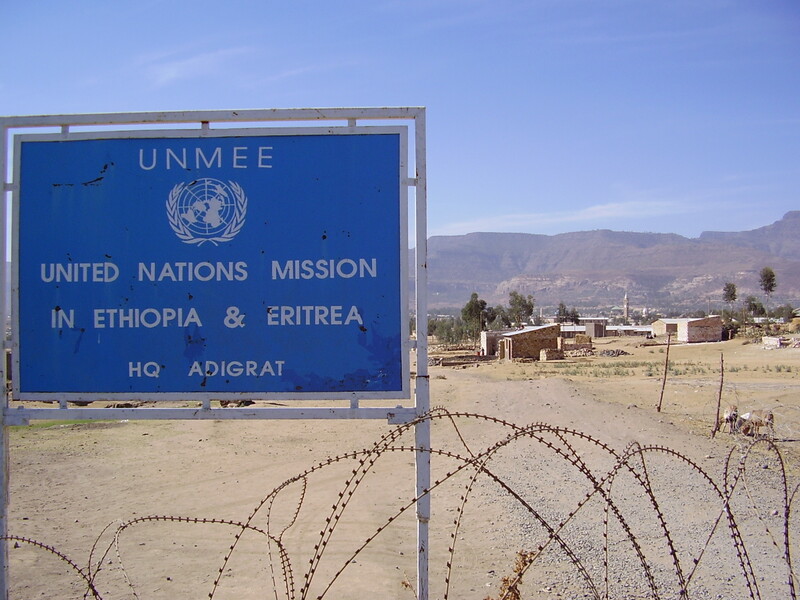 The UN Security Council decided at the end of July 2008, the closure of this mission, due to the state of belligerency between Ethiopia and Eritrea, therefore all staff, aircraft and equipment were returned to Uruguay, arriving in Montevideo by October 2008. 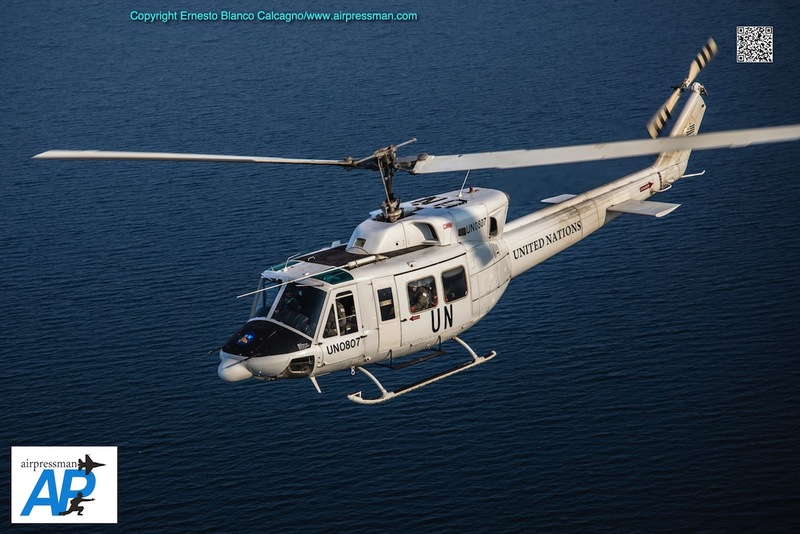 The two Bell 212 remained in Uruguay until march 2010 when the decision was taken to further deploy them to support Uruguayan troops in the DR Congo, once more under the auspices the UN (MONUSCO – United Nations Organisation Stabilisation Mission in there DR Congo). Uruguay has a presence in this country since 2003, specifically at the Kalemie and Bukavu aerodromes, where personnel of different Uruguayan government branches, provide a range of services like Aerodrome Air Traffic Service (ATS), aerodrome ramp services and security protection. Thus on March 22, 2010, two Bell 212 (FAU 030/031 – UN 851/852 respectively) are flown to Entebbe (Uganda) onboard a Ukrainian Antonov An-124 Ruslan (registration UR82072). 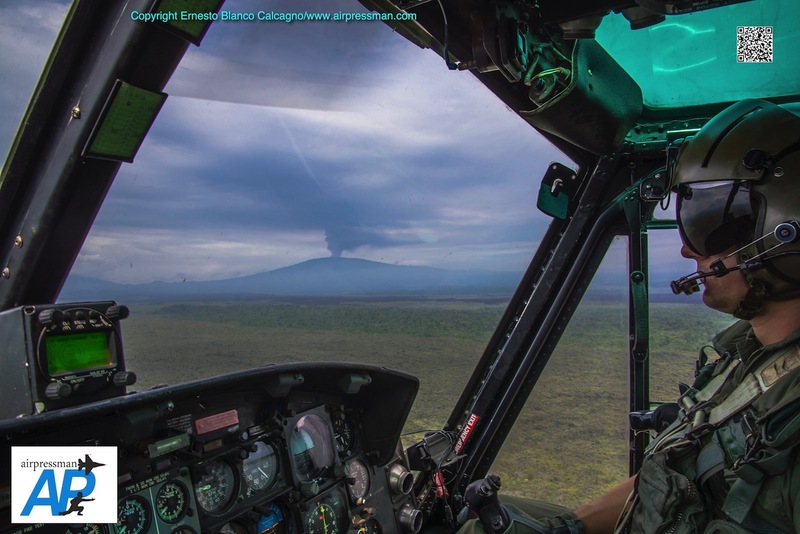 With the two helicopters, five pilots and two technicians were deployed, as well as 45 tons of cargo, vehicles and support equipment for the mission. The An-124 arrived in Entebbe the next day, with the FAU 212s flown on March 23 to Bukavu, South Kivu province, DR Congo landing here after a flight time of three hours. 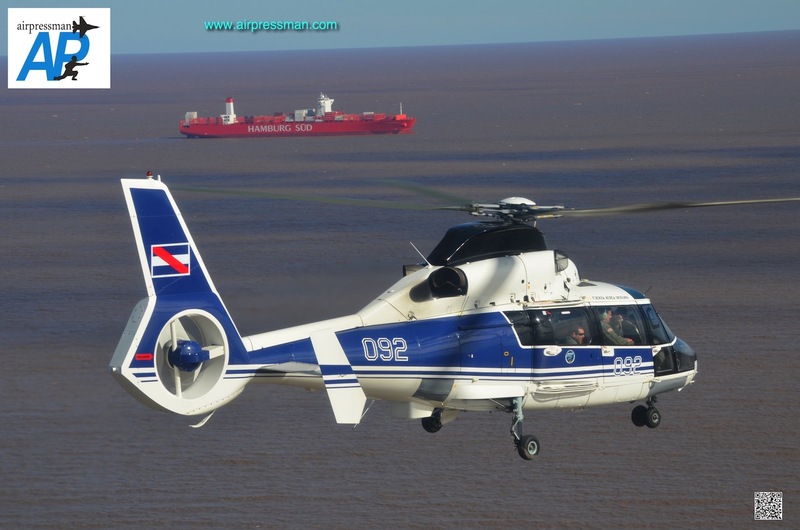 Then the URUAVU (Uruguayan Aviation Unit) is then created 5130nm (9500 km) from home. Once established in Bukavu a contingent of 46 service personnel is assigned to the mission (pilots, technicians and support staff). The missions assigned – similar to those carried out in Eritrea – are SAR, Medevac/Caseevac, observations duties, passenger, troop and cargo transport, surveillance and aerial reconnaissance – for this task the aircraft were fitted with two MAG 7.62 mm machine guns, one at either side door. 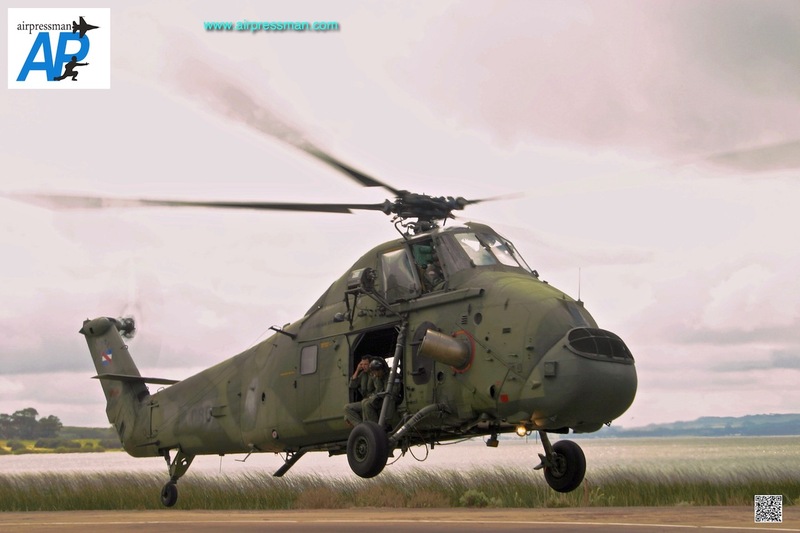 Often the FAU helicopters operated alongside Mil Mi-17 and Mi-35 helicopters of the Indian Air Force, supporting the Uruguay Battalion of the Uruguayan National Army. 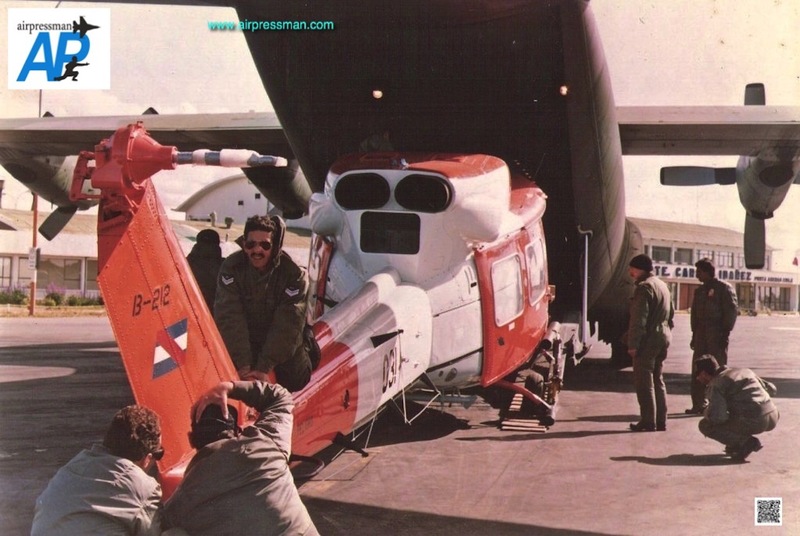 The original Letter of Assistance (LOA) signed by Uruguay with the UN mentioned the necessity to provide three helicopters for the mission; briefly achieved between April and November 2013, when Bell 212 FAU 033 (UN807) arrived onboard a FAU C-130B transport aircraft, to serve alongside FAU 030/031. In November 2013 FAU 031 (UN 852) had to return to Uruguay as to have programmed maintenance tasks completed, furthermore of the total fleet of four Bell 212s, two were needed at home for regular in country operations. At time of writing the two aircraft allocated to URUAVU are FAU 032 (UN851) and 033 (UN807) now fitted with more modern Garmin 496 GPS system and I-pads to carry aeronautical charts and maps and means of back-up navigation. Since June 6, 2000, the squadron started training some of their officers and non-commissioned officers as rescue jumpers, creating the Sección de Operaciones y Entrenamiento de Rescate – SOER (Operations and Rescue Training Section). Some members of the team are qualified as Comandos del Ejército (Army Commandos), Tactical Diver, Military Paratrooper and USAF Special Reaction Team as well as a PHTLS course (Pre-Hospital Trauma Life Support). 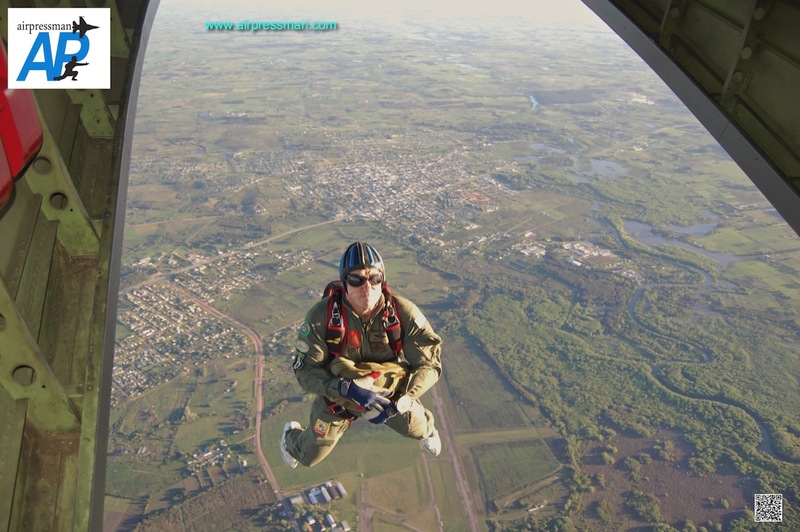 Their job is to jump over land or sea from helicopters as well as from non squadron fixed wing aircraft like C-130B and C-212 belonging to the Escuadrón Aéreo No. 3 – Transporte (Air Squadron No. 3 – Transport), after launching survival equipment. During SAR missions, a medical doctor and a nurse from the squadron joins the team onboard of the helicopters. Non executive duties like task planning and management during SAR missions, are carried by squadron members trained on Incident Management Command Course by the US Coast Guard. The experiences acquired abroad, the ability to use NGV and constant training, led to the SOER team to conduct training with US Special Forces like the Rescue Team (Team Guard Angels) operating from MC-130E “Combat Talon” aircraft of the US Air Force Southern Command. 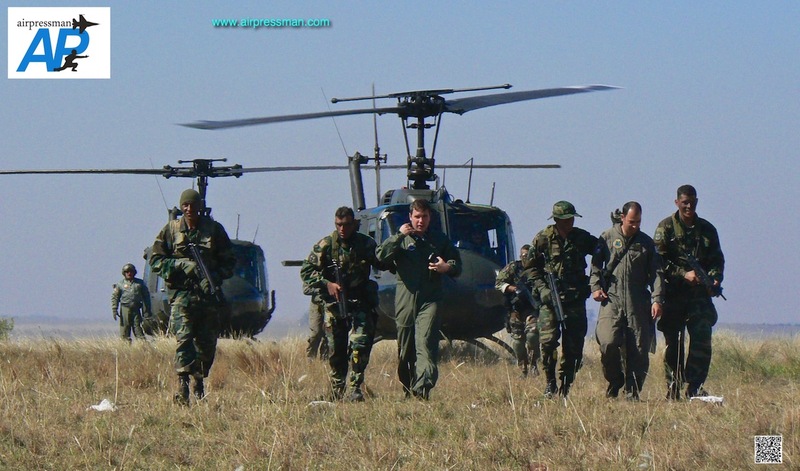 In order to achieve greater interoperability between the US forces and the Uruguayan forces, a CSAR (Combat SAR) exercise was carried out in July 2008. 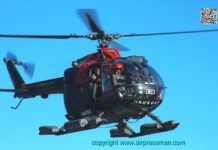 Three UH-1H aircraft were used for a simulated rescue situation of a “downed” female officer – Captain of the US Army – whilst trapped in “hostile” terrain. SOER teams descended via “Fast rope” in an area near the extraction point, proceeding to her rescue. The challenges of the Squadron are to keep its 37 pilots qualified in the available models and train new officers for the operational commitments assumed. 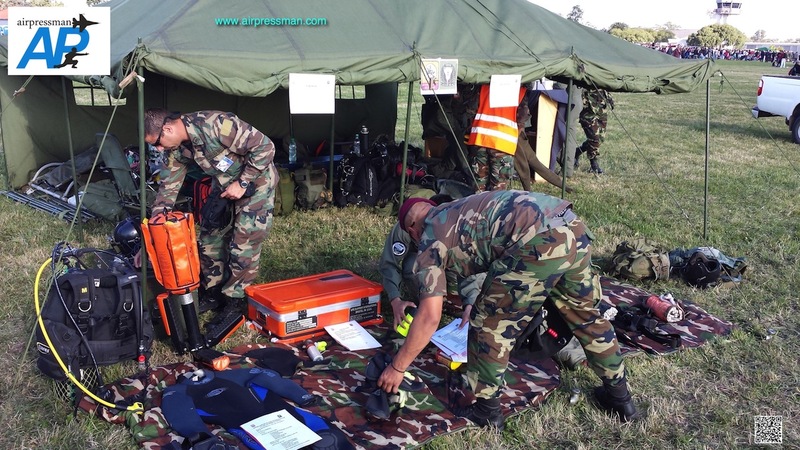 To continue with the achievements in relation to SAR missions through the Centro Coordinador de Rescate Carrasco (Carrasco Rescue Coordinator Centre/CCR – Carrasco) located in the squadron facilities at the Air Brigade I. 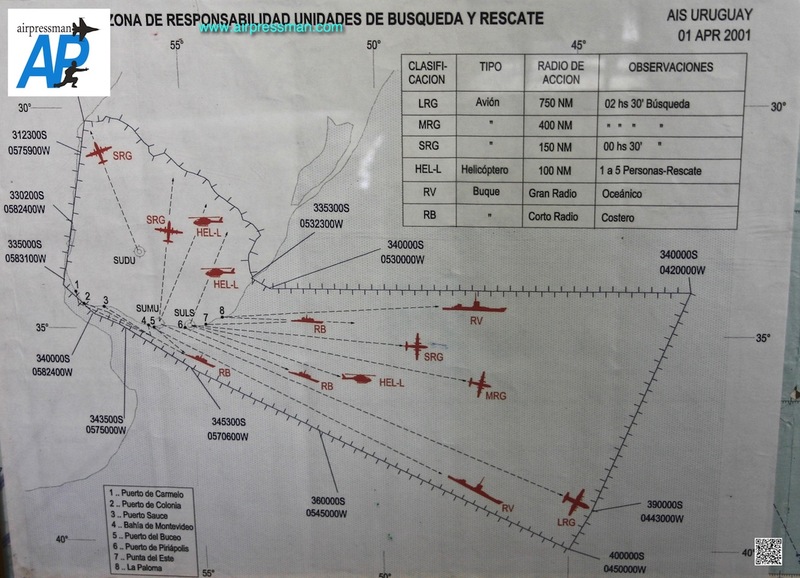 From this centre, on alert 24 hours a day, 365 days a year, in conjunction with the Uruguayan Navy and its CCR-Mar, the available means are coordinated, search and rescue operations plans are drawn up within the area of ​​responsibility, in accordance with International Aeronautical commitments assumed by Uruguay. The CCR is the only SAR contact point (SPOC-SAR Point of Contact) in the country, being designated by the Satellite System for reception of emergency radio beacons (SARSAT-COSPAS) activated from aircraft or ships. Of great interest is the possibility of having a twin engined helicopter available to be stationed to support the Uruguayan Antarctic campaign, since the country’s Antarctic Institute maintains its presence on the white continent throughout the year at the Base Científica Antartica Artigas-BCAA (Artigas Antarctic Scientific Base) located on King George Island, South Shetlands. 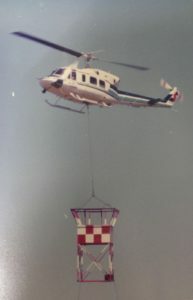 In the past, a Bell 212 was stationed there during the southern hemisphere spring and summer months. The squadron requires a larger budget to qualify more pilots as “Pilotos Principales” (Main Pilots – something like the term “Combat Ready” used in the USA) the officer then being able to fulfil all the assigned missions. Such training demands 400 hours of flight time, almost impossible to be fulfilled in the present conjuncture, and of a tremendous importance if further peace keeping missions are tasked to the squadron and the outstanding level of operations until now demonstrated is to continue. As in many other forces in the world, due to the low salaries offered, the FAU struggles with keeping some of its personnel; with many pilots opting to fly with commercial airlines. Of great concern is the loss of experienced aerotécnicos – the technicians and maintenance staff. This “unsung” heroes, many with decades of experience, leave with a wealth of knowledge impossible to replace in the short term. 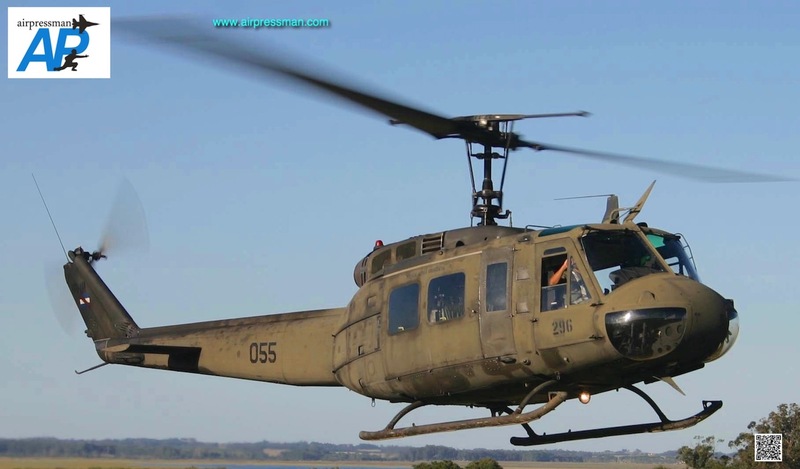 The squadron workhorse for most missions, continue to be the venerable Huey – also still responsible for the initial training of rotary wing pilots – due to the lack of a smaller training type. More responsibilities have been assigned to the fleet recently, as they operate flights under the HEMS protocol (Helicopter Emergency Medical Service) newly created by the Administración de Servicios y Salud del Estado/ASSE (State Health Services Administration) and the Ministry of Defence. Thus, the assigned tasks are more and more those to be carried out by a Civil Air Service, than those expected of an armed force. 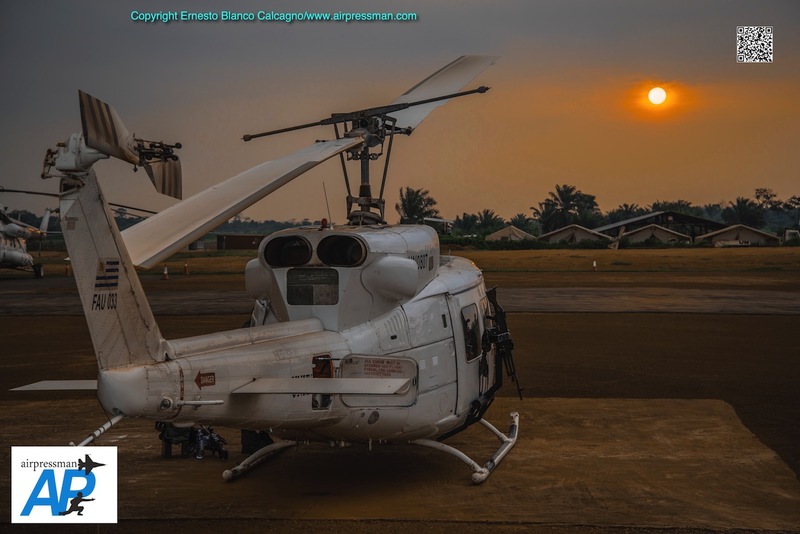 Who knows then, if the contingent from the DR Congo returns, with its two Bell 212 and its vast experience devoted to the national environment, then we might be able to have a Bell 212 again in Antarctic colours and advance the desired path to reach the South Pole with Uruguayan rotary wings! Editor’s note: Our sincere thanks to Lt. Cnel. (Av.) Gerardo Tajes, a Escuadrón 5 experienced pilot and Director of the FAU RR.PP. 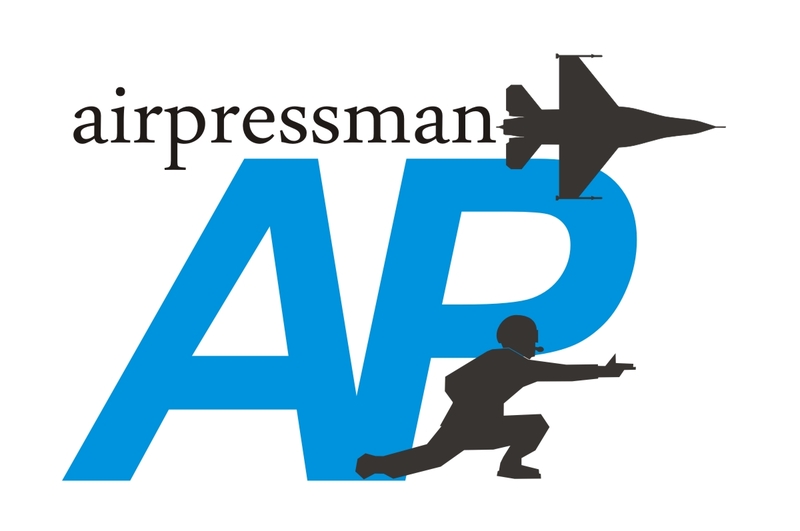 (Public Relations Department) for his assistance in the completion of this article and constant contribution to Airpressman.com. We are also grateful for the time and details kindly and patiently provided by the Commander of Escuadrón 5, May. (Av.) Don Jorge Maubrigades and the “boss” of the SOER, Cap. (NAV) Fabrizio Ruiz. 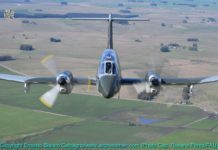 Next articleUruguayan Air Force T-41D ditches in Punta del Este.